"Fantastic songs, great play with students learning about Shakespeare without even knowing it! A big hit, even in Australia!!" "We recently did this production with our drama club and it is without a doubt one of the best shows I have done. The songs are brilliant, catchy, fun and easy to learn and all the children and parents loved it! " "This was literally the most fun, the most engaging and the most child-friendly introduction to Shakespeare I have seen. It was a brilliant show which is clever, witty and completely fun to perform and watch. Our Y5 and Y6 students looked fantastic and performed it well due to the simplicity of the script and scores. Fantastic." "I have been teaching for 25 years now, and I hope I can call myself successful, but out of everything I have ever done in education, putting on this musical was the best thing ever." 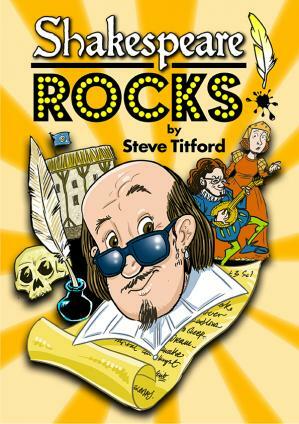 "If anyone is looking for the most incredible musical for Upper Juniors, Shakespeare Rocks is the best I have ever had the pleasure to direct. Each song is superb, the music and lyrics are amazing and the children and parents loved every minute of it. Please publish more of the same. 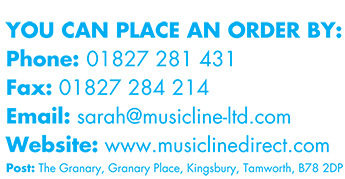 The quality of the backing tracks is exceptional and made it easy to work with the children . We are still singing the songs in September and our show was last June!!! FABULOUS!!! " "The songs are catchy, the script does not get children confused and gives everyone a chance in the limelight "
"You uncorked a veritable genie from a bottle with this fantastic idea and thank you for all the joy you gave, the up-tempo modern kick, the literary links and the sheer feel-good vibe that gave our school such a boost. Your songs just keep rolling around my head. Brilliant and thank you! " "Absolutely brilliant, brilliant, brilliant! The music was truly amazing. Our 94 year 6 pupils loved every one of the songs and the difference that made to their performance was evident in the energy and enthusiasm they put into it. The only problem now is this: what on earth are we going to do next year to match it? I highly recommend using Singit, which made the job of learning the songs simple. What a great resource! Unfortunately the scenery wasn't available when we bought the play but it sounds fabulous." "What a fantastic script and as for the Music................ just brilliant. My Year 5's performed this to amazed parents last week. They loved every minute of it, and the children definitely think that Shakespeare Rocks! I can't wait to do this again in the future. Steve, PLEASE write some more!!" "This is by far the best musical for kids and youth I have ever seen or directed. The music was wonderful and the kids sang their hearts out! It gave everyone a moment to shine and they loved it! The parents were awe struck by the kids performance's. Some said they would have never imagined their child could sing or perform flawlessly like they did. When the kid's like the music, they will go above and beyond and that is what mine did. When you get a standing ovation from middle school kids, you have accomplished the impossible. Even the adults learned something new about Shakespeare. The kids cannot wait for our next production and we have already been asked to go on tour!!! Wonderful, everyone should do this musical." "The production went down a real treat and was a hit with both parents and with the performing children (upper and lower juniors). The songs were great - far better than the mundane Xmas songs that we usually bore our way through. The children loved singing them and as a result, rehearsals were much less stressful (and sometimes quite enjoyable). The whole play lasted less than an hour, even with a few extra dances 'shoved in'. Definitely worth the cost."